My cousin Jenna got married!!! Congratulations! 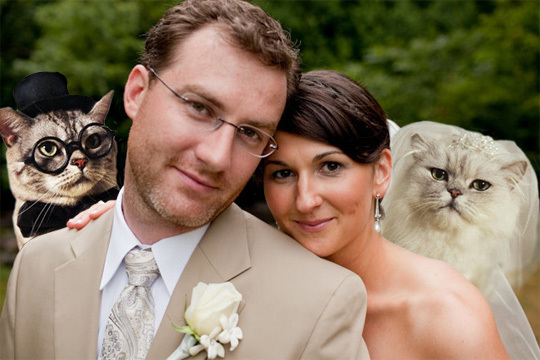 Here she is with her new husband, Justin, posing with their Boozecats after the ceremony. Boozecats usually hate wearing clothes, but these two were good sports. Can anyone help me out? It is going to be much appreciated.